Aeroflot Russian Airlines (Moscow) has agreed to acquire 75 percent of the shares of failing Transaero Airlines (Moscow). Aeroflot is buying out its main competitor (and its $1.6 billion debt) for the symbolic price of one ruble. 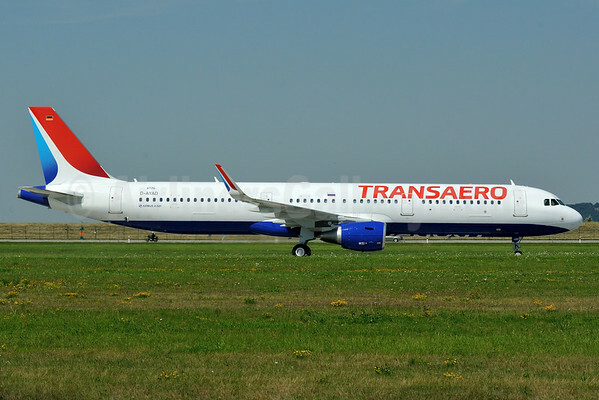 Transaero Airlines is the second largest airline in Russia and has lately been failing and building up a large debt. According to Reuters, “Transaero will be completely overhauled and integrated into the Aeroflot group,” an Aeroflot spokesman was quoted as saying by RIA news agency. For now, the Transaero Airlines name will be kept alive as a significant but shrinking part of the Aeroflot Group. 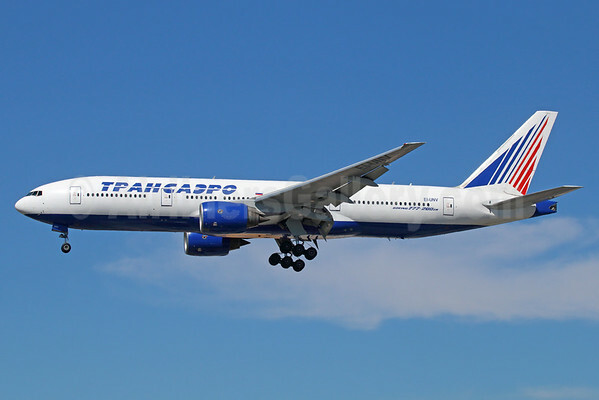 However for the long term, will Transaero be merged into Aeroflot and the brand retired? Above Copyright Photo: Gerd Beilfuss/AirlinersGallery.com. Transaero has been introducing this new brand with its new deliveries. Will this new look be retained? 51 percent of the Aeroflot stock is owned by the government of Russia. The government is backing its major industries. Transaero Airlines (and many other Russian airlines) have been struggling since the ruble collapsed in 2014. In short, Russian citizens are traveling less overseas with their devalued currency. As we previously reported, even Aeroflot reported a loss in the first half of this year. The Government of the Russian Federation held the meeting of the Intergovernmental commission chaired by Igor Shuvalov, First Deputy Prime Minister, on the issues of air transport industry. In the interests of the development of the commercial aviation and creating one of the largest in the world group of airlines, the commission has approved the acquisition of JSC Transaero Airlines by Aeroflot group. The shareholders of Transaero Airlines believe this measure will serve the interests of passengers, personnel and partners of the airline. The Chairman of the meeting has highly appreciated the role of the founders, managers and all the personnel of Transaero Airlines in the modern history of the commercial aviation of the country. Top Copyright Photo: Michael B. Ing/AirlinersGallery.com. Ex-United Airlines and Air India Boeing 777-222 ER EI-UNV (msn 28714, ex N205UA/VT-AIK) arrives at Los Angeles International Airport. This entry was posted in Aeroflot Group, Aeroflot Russian Airlines, Transaero Airlines and tagged 28714, 6726, 777, 777-200, 777-222, A321, A321-200, Aeroflot Group, Aeroflot Russian Airlines, Airbus, Airbus A321, Airbus A321-200, Boeing, Boeing 777, Boeing 777-200, D-AYAD, EI-LED, EI-UNV, Finkenwerder, Hamburg, LAX, Los Angeles, Transaero Airlines, XFW on September 5, 2015 by Bruce Drum.